The Waterford Travelodge is located opposite the Water Crystal visitor centre in the heart of Waterford�s busy commercial district. This hotel has a restaurant offering breakfast and light meals with a fully stocked bar. 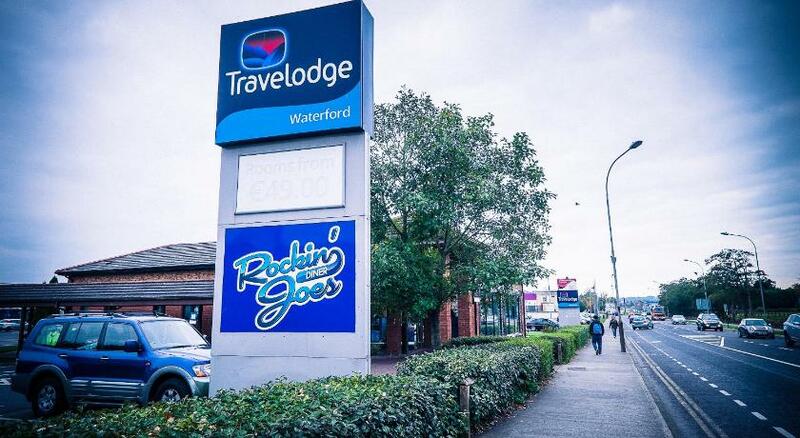 The Travelodge Hotel Waterford Ideally is located in Cork Road 20-minute walking from Waterford city centre. The hotel is a 10-minute drive from Waterford Airport and 15-minute drive from Waterford Plunkett Train Station. We are conveniently located to WIT and the IDA Business Park with Waterford Regional & Whitfield Hospitals both within 10-minutes drive. Rosslare Europort is located just over an hour's drive from us. Free WiFi with unlimited data for all devices is available throughout the hotel. Waterford offers excellent bars and pubs. The city has long been one of the fastest growing parts of Ireland and has a vibrant nightlife. Jordan's American Bar, is a place where you can sit down for a pint and chat to the regular guests in a relax atmosphere. There are great deals of bars and pubs in the city, our freinly staffs are happy to provide information regarding places of interest. One of the Waterford city's great places from our hotel with a short drive distance is the Crystal Club & Venue. The venue is located in the heart of Waterford cities entertainment district. The club is a multi level venue which offers 3 rooms and caters for all genres of music. 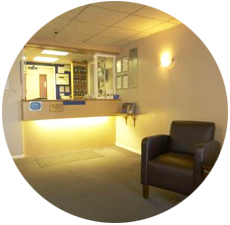 For more venues to enjoy in the city, please ask our reception. 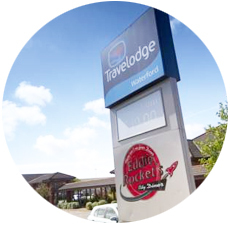 The Travelodge Hotel Waterford is located right by an American Diner where guests can relax and have breakfast, lunch or dinner. Waterford Golf Club and Waterford Municipal golf clubs are both situated within 4 km from our hotel. The hotel is just 20-minute from Walsh Park, the home for Waterford GAA club and 15-minute drive from Waterpark the home of Waterford rugby club. 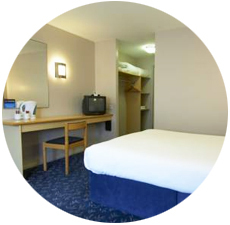 we can accommodate to everyone, with 3 of our ground floor rooms designed specifically for people with wheelchairs. All rooms at this budget accommodation have a TV and free WiFi with unlimited data for all devices is available throughout the hotel. The hotel features 56 free car parking space just outside the property you can be sure of a convenient stay if you're driving into our budget hotel.